PURCELL, Tortola, VI – A shipment of relief items for the people of Dominica which suffered massive flooding was yesterday, Novemver 13, 2015 prepared for shipping to the ravaged island nation hit by Tropical Storm Erika. Third District Representative Honourable Julian Fraser RA oversaw the final preparation and paperwork signing off to ship the items off. Speaking with this news site at the container loading site in Purcell, Honourable Fraser said the relief effort began with a series of meetings starting on September 1, 2015 and it is only now that the relief items are being shipped. 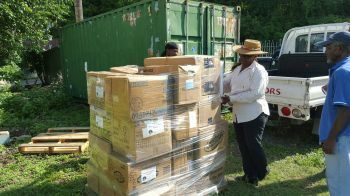 Persons donated clothing, preserved foods and other articles towards the relief effort which is still very much ongoing weeks following the devastation which also resulted in loss of lives. Storms and mudslides from Tropical Storm Erika in late August were said to have set Dominica back 20 years in terms of the devastation seen. Hundreds of homes, bridges and roads had been destroyed. “The actual drive to collect the goods started on October 10, 2015 and as you can see it is now November 13 and we are now preparing to ship,” he said. 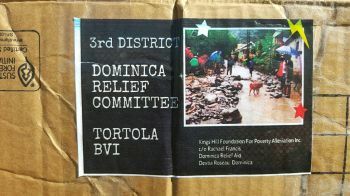 “The effort was carried out by me the Third District Representative getting together those Dominica residents of the Third District to come together on an effort to rally the people of the territory in an effort to garner support for the disaster in Dominica which is well known around the world by this time,” he said. Honourable Fraser said he was very pleased that the shipment is about to be dispatched. “I want to thank in particular the folks in Dominica, the Honourable Lennox Linton the Leader of the Opposition, also Rachel Francis of the Dominica Relief Aid. The goods are being shipped for King’s Hill Foundation for Poverty Alleviation,” he said. 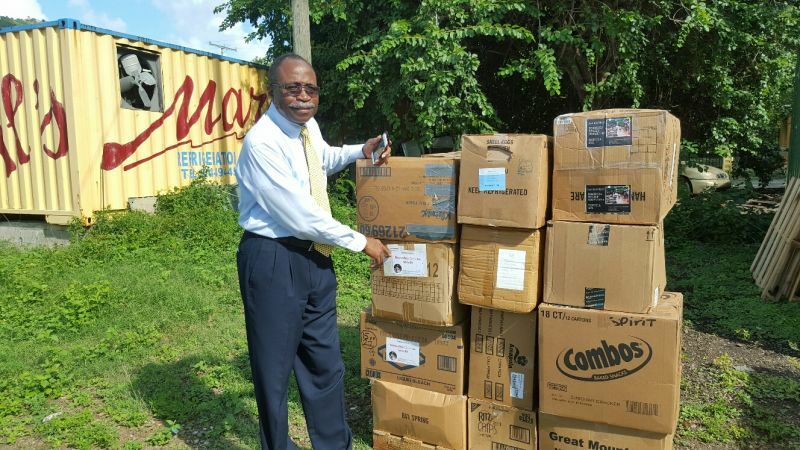 He expressed the hope that the items will bring some form of comfort and relief to the people of Dominica affected by the flooding. We love mr fraser that's why he is always winning. Plenty of we island folks lives in his district. He talks crap at times so who to blame his own self. Fraser is doing the right thing and I can bet he won't be taking anything more for granted now with the NDP propaganda. everybody in BVI always want credit and looking praise for helping fellow man. as good christians it's our duty. STOP taking photo ops for helping people. As good Christians you say... I say you are evil.. If you were a good Christian you would be lifting up Mr Fraser instead of tearing him down. If Jeaus did not get credit for what he did, you would not have scriptures.. Go talk that and leave Fraser alone. You put the education ministry on blast. Who really to blame? At the the expense of the children too. @Hmm.... Yes Charity begins at home, but don't be telling that to Fraser, he knows. Go tell the Premier who sent $100,000 from the Treasury to the same Dominicans. Fraser beg people for stuff and use his own money. Then he should probably beg for the school as well and use his money too. After all the school is in his district regardless of what ministry it falls under. @ just saying: Fraser don't have a monopoly on begging and spending his own money..... Why don't you go out and beg and spend your own money? Now wouldn't that make the photo Minister look real bad. He should be ashamed. 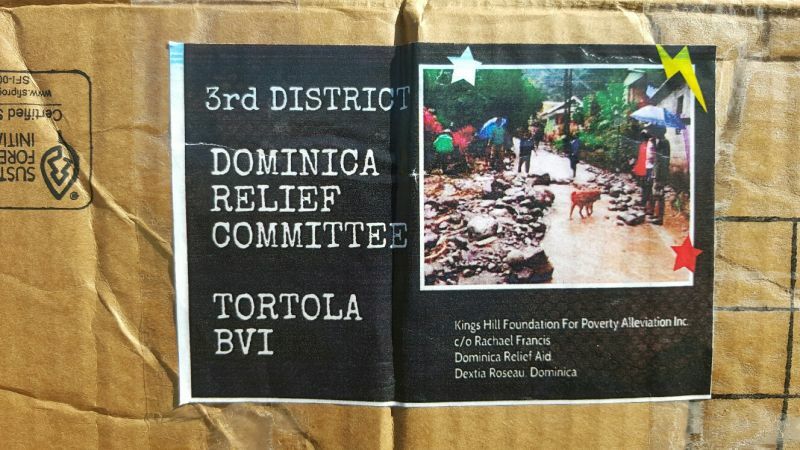 Dominica needed help. We HAD money to take care of the children's needs in the Treasury. Let's find out where it disappeared to. Dominica is justified. Thanks Hon. Fraser. Where is the photo minister? On another trip where we get no reports? Wasting tax payers money? The minister of education hails from sea cow's bay, as a matter of fact, he went to the said school. While *J is busy at the dominicano bars, Fraser is busy helping with the dominicans relief. *J may be at the dominicano bars, but he is always helping people in the Third District, even those who did not support him. I can vouch for that. He and he farder from bar 2 bar. """Chocolate""" I from the island, and if Fraser don't like us and he giving us all them goods, I like he just so, because you who like us ain't giving us s**t but talk talk. Wow. That's great. A good start towards a change of heart. OK tell me why Are they digging up and re doing East bound high way when nothing is wrong with it. It looks almost as good as the one thst judt paved. The money would have been better spent redoing the road from wcay to Crandals. 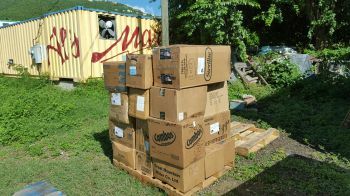 Sending boxes to Dominica is good Frazer but find out for us what's going on with our tax paying money.